In Italy, dried pasta is traditionally made by grinding durum wheat (Triiticum durum), a form of semolina. Recent food regulations state that this is now obligatory. The other main type of wheat (common wheat, Triticum vulgare) is used for flour, and for homemade egg pasta, bread, etc. It is impossible to put an exact date to the birth of pasta, but in all likelihood its origins date back to the beginning of agriculture itself. The Neolithic period saw the dawn of the long process in which humans stopped leading nomadic lives, and began to develop agriculture and keeping animals. Their main crops were legumes and grains, including wheat. Over time, they refined their sowing, harvesting and processing techniques. By grinding wheat, they obtained flour, which they mixed with water, flattened into thin sheets, and cooked on hot stones. These were the very first steps that eventually led to pasta making. However, the first indications of the existence of something actually similar to pasta as we know it today date back to Greek civilization in the first millennium B.C. The Greeks used the word laganon to define a large flat sheet of pasta, cut into strips. We know that in the Italian peninsula, first the Etruscans and then the Romans produced and consumed the first types of pasta. The Romans, as was usual, adopted and adapted the Greek term. In Latin the word was translated into laganum, quoted by Cicero himself in his texts. This is very probably the origin of the word lasagna. 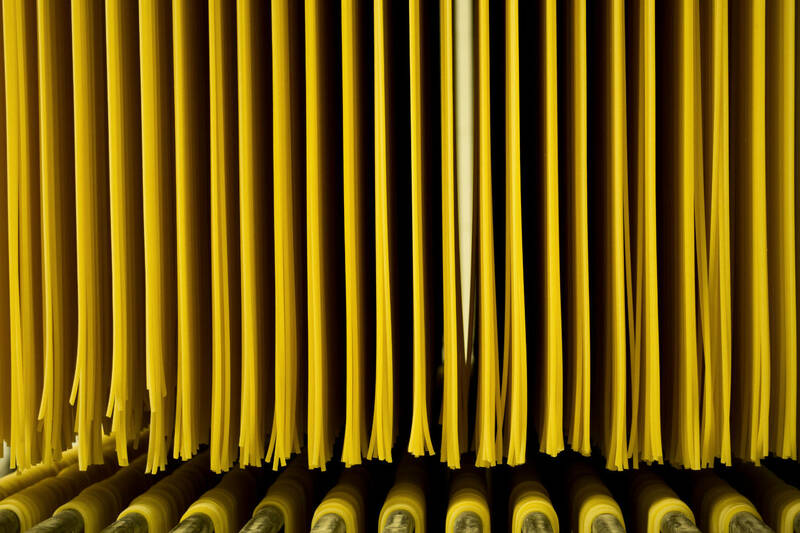 The first writings documenting the presence of pasta in Italy date back to the Middle Ages. In 1154 the Arab geographer Al-Idrin mentioned ‘a string-shaped food made of flour’ called triyah, which was made in Palermo and exported throughout the peninsula. Tria is still a typical pasta shape used in southern Italy. In 1279 a Genoese notary transcribed an inventory of objects belonging to a deceased sailor; these objects included a ‘box of macaroni’. 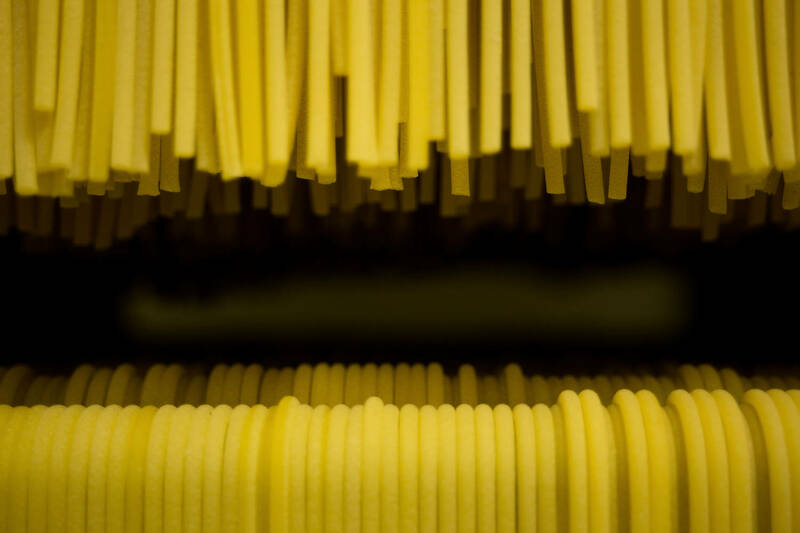 It seems, however, that the first to dry pasta were Arabs from the desert, who needed to have a food that would not spoil during their long journeys. 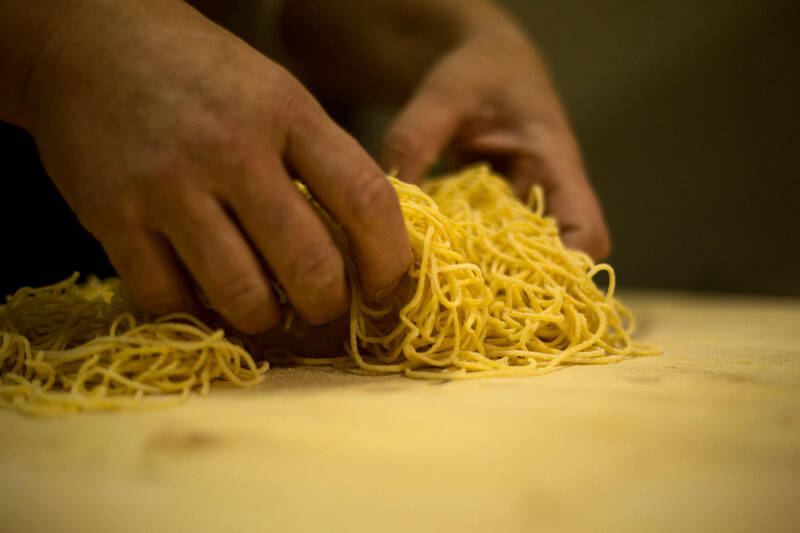 This led to the invention of cylinders of pasta pierced in the middle to allow for quick drying, which are still known today as rista in some regions of the Asian Mediterranean. But there is no doubt that it was the Italians, starting from the fifteenth century, who turned the production of pasta into a true art. The first machines for kneading and drying were designed. 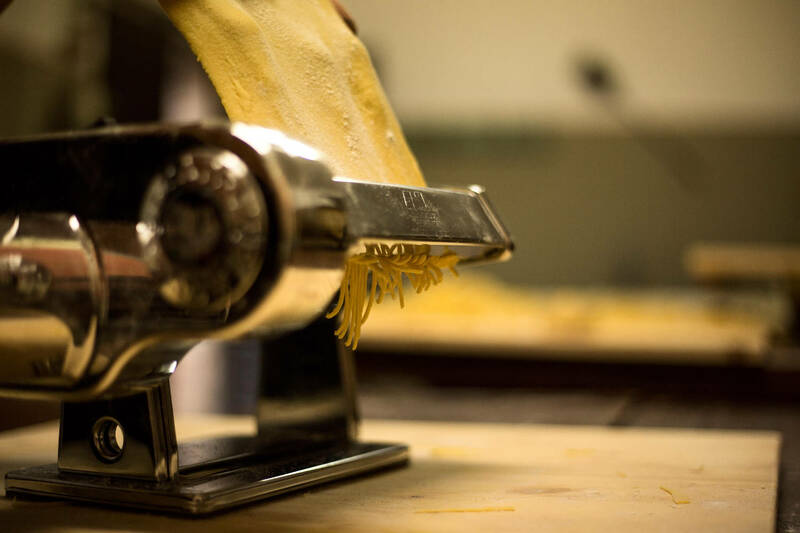 The first artisan workshops were set up and the first guilds of pasta makers and bakers were founded. If we look at the shape of the grains, the two types of wheat are not that different: hard wheat has grains that are slightly more oblong and almost translucent in appearance, while soft wheat has grains that are opaque and round. The first grows in the sunbaked, rough soils of Southern Italy, while the soft wheat prefers the damp, cool climate of the Po Valley. 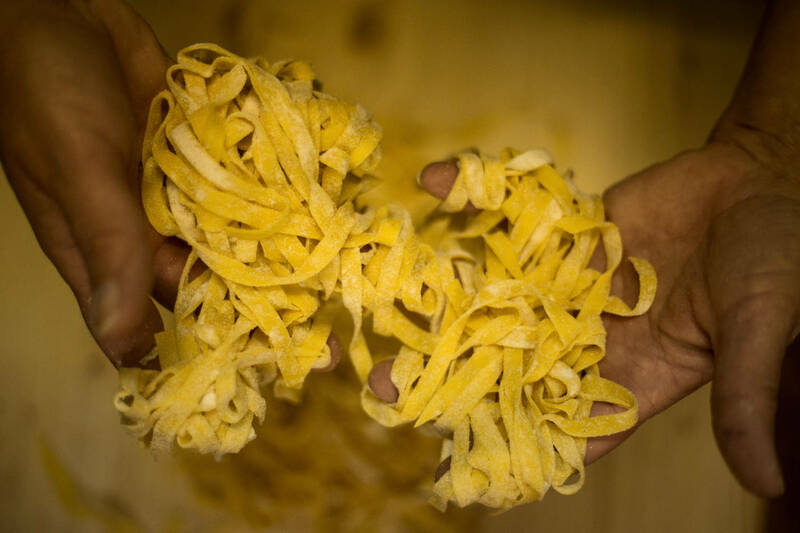 This explains the origins of the traditional difference in consumption between dried pasta in the South and egg pasta (made with soft wheat flour) in the North. The scent, taste and consistency of pasta depend both on the type of the wheat used and where it has been grown. Also, some fundamental rules need to be respected during the growing period, the harvest and the production process. 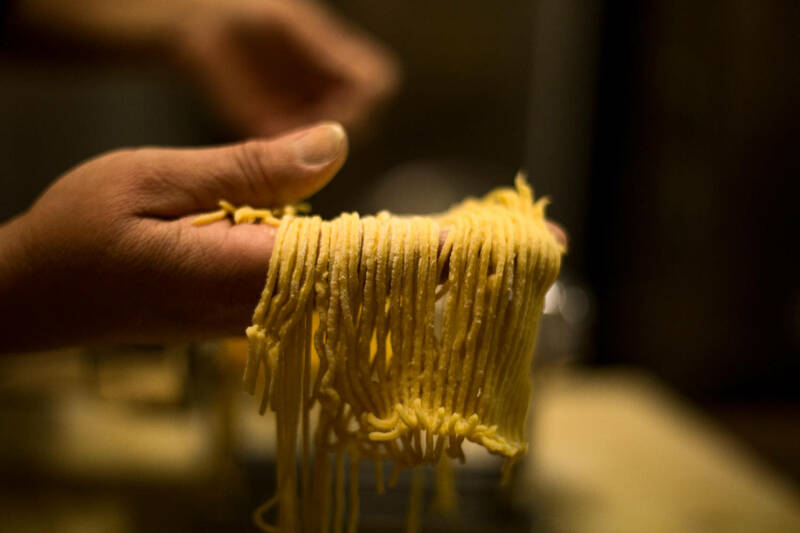 This Tuscan food and wine tour will lead us to the discovery of an old artisanal pasta factory where five generations of the same family have worked to date. 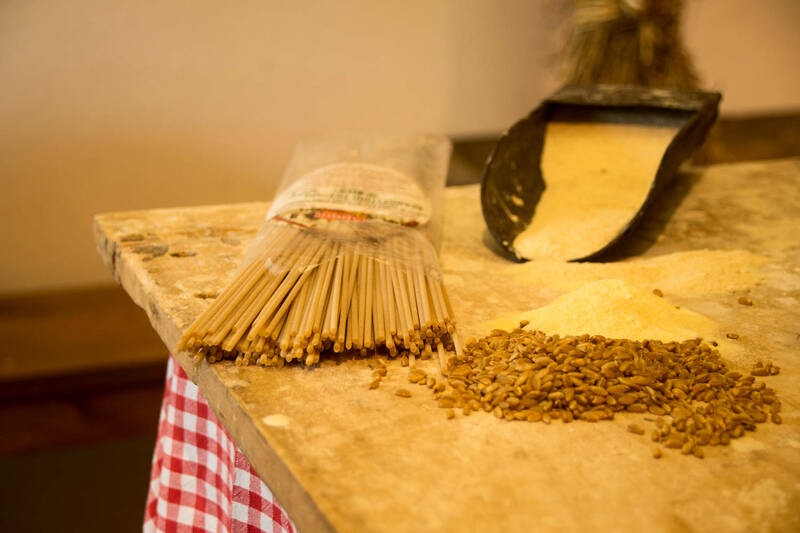 The first part of the artisan pasta-maker’s task consists in selecting heirloom varieties of locally- grown organic durum wheat. The next step is to work with experienced millers. 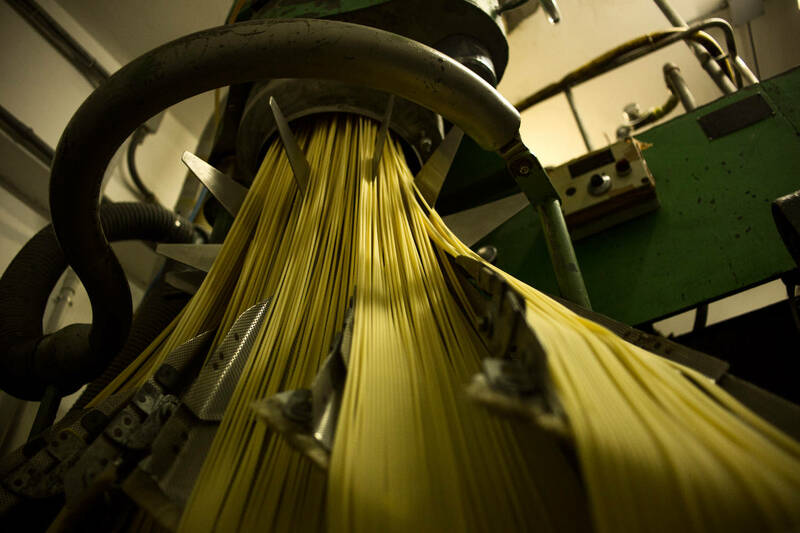 Then they can begin the meticulous pasta-making process: traditional machinery is used and great care is taken to keep the temperatures low to avoid altering the organoleptic characteristics of the product. 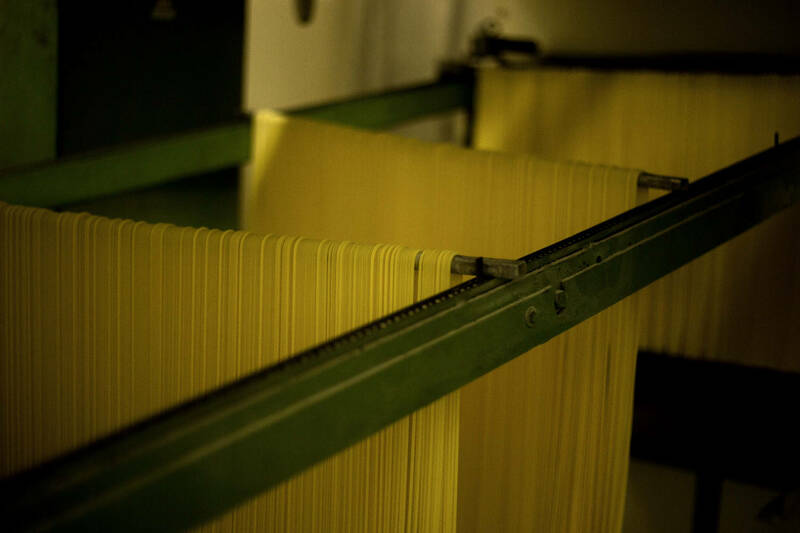 The pasta is allowed to dry very slowly, over three to six days. 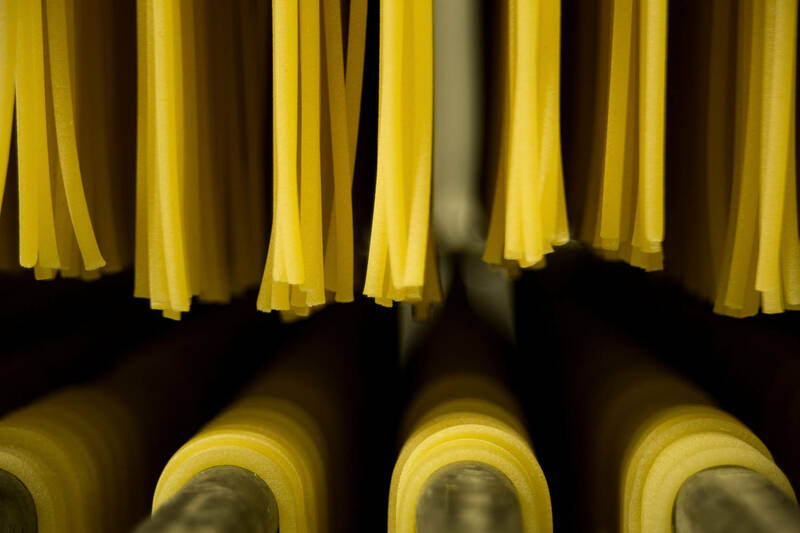 Using these methods, about forty different shapes of pasta are made. 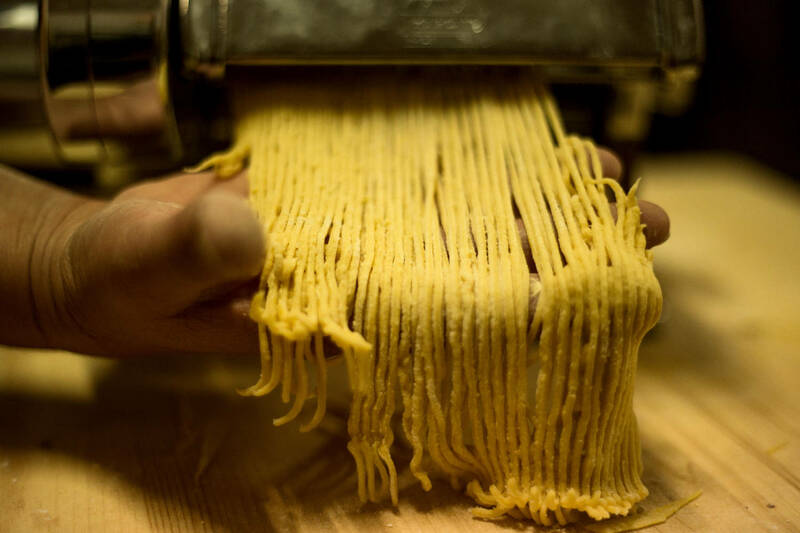 We will end our Tuscan food tour by visiting a traditional Chianti winery, where you can taste two types of pasta: fresh pasta, hand-made especially for you that morning and a dried pasta, one that we will choose together at the pasta factory. We will accompany all this with excellent Chianti wines produced on the farm.